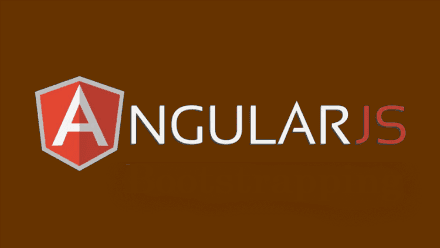 Recently in my previous post, I have posted about Different ways of bootstrapping AngularJS app, where you can either auto-bootstrap using ng-app attribute or manually bootstrap using angular.bootstrap function. And also mentioned in angular interview questions that "Only one AngularJS application can be auto-bootstrapped per HTML document." Which means that your page can only have single ng-app attribute. If you put multiple ng-app attribute, only first will be considered and the rest will be ignored. Let's see with an example. In the below code, there are 2 ng-app present on the page. And below is the output. Out of 2 ng-app present on the page, the first one gets initialized and works as expected. Output also shows the same. Then how can you define 2 different angular apps on the same page? Well, there are a couple of ways to implement this. You can manually bootstrap both the application using angular.bootstrap() as we have seen in Different ways of bootstrapping AngularJS app. Since we are bootstrapping them manually, make sure to remove ng-app attribute from the HTML page. So make sure that there is ng-app present on the page for first app. You can define a root level app using ng-app and then inject both the apps as module in root app. And make sure any parent node (body/Parent div) is assigned with ng-app=rootApp".